The Kirkus Prize is one of the richest literary awards in the world, with a prize of $50,000 bestowed annually to authors of fiction, nonfiction and young readers’ literature. It was created to celebrate the 81 years of discerning, thoughtful criticism. Kirkus Reviews has contributed to both the publishing industry and readers at large. Books that earned the Kirkus Star with publication dates between November 1, 2014, and October 31, 2015, are automatically nominated for the 2015 Kirkus Prize, and the winners will be selected on October 23, 2015, by an esteemed panel composed of nationally respected writers and highly regarded booksellers, librarians and Kirkus critics. “Viridis, also known as Green Island, is a tiny fictional nation founded in the 12th century by a mixed-race crew whose ship was blown off course while returning from Canton. Thomas Burke, descendant of an island founder, left home to pursue a career in mathematics, specializing in prediction theory; Viridians call him “Figas,” patois for “Figures.” Now, a foundation director has tapped him to return and warn the gentle islanders that Viridis’ tea — more expensive per ounce than gold — is in danger of attracting greedy attention. When an occupying force takes over Viridis, Figas and the locals face an enormous challenge: how to find an island way of protecting themselves. They call on sacrifice, patience, showmanship and the spirit of the island — and readers will join the cheering section. 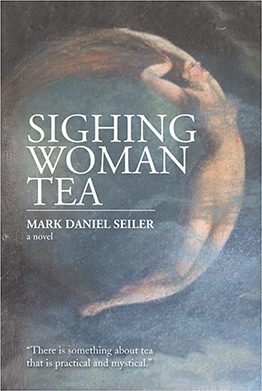 In his accomplished debut novel, Seiler deftly sketches memorable, diverse characters while drawing on fascinating historical background. Witty, idiomatic dialogue provides many pithy lines: “a fox is a wolf who sends flowers”; “The Buddha would play viola….It’s the middle way.” The opening setup — not to mention the novel’s charm, wit and underlying seriousness — recalls The Mouse That Roared by Leonard Wibberley, but this is —like Sighing Woman Tea —a unique and flavorful blend, by turns comic, poignant, philosophical and romantic. As the book progresses, it gets tighter, funnier and more deeply emotional. Seiler never condescends to his islanders; they may act in comical ways, but they, the island and their tea are to be taken seriously. Nor are the invaders uniformly evil: An Irish soldier’s good heart makes an excellent counterpoint to the blockheaded Cmdr. Prescott. Seiler nicely handles the islander’s tricky maneuvers to outwit the invaders, holding enough back for suspense and providing several well-done set pieces that reveal the islanders’ gifts with satisfying payoffs.